Music was central to Winifred Rudeforth's life. Win began as a pupil at MLC aged 14, and later returned as a music teacher before filling the position of Principal's Assistant Secretary. An excellent pianist, as a young woman she gave many recitals and performances. A review in The West Australian on December 12, 1925, commented on her interpretation of Chopin: "Her beautifully finished playing, notable for the sensitiveness of its phrasing, was in point of power an outstanding experience of the evening." Win often performed as soloist with the Metropolitan Orchestral Society. 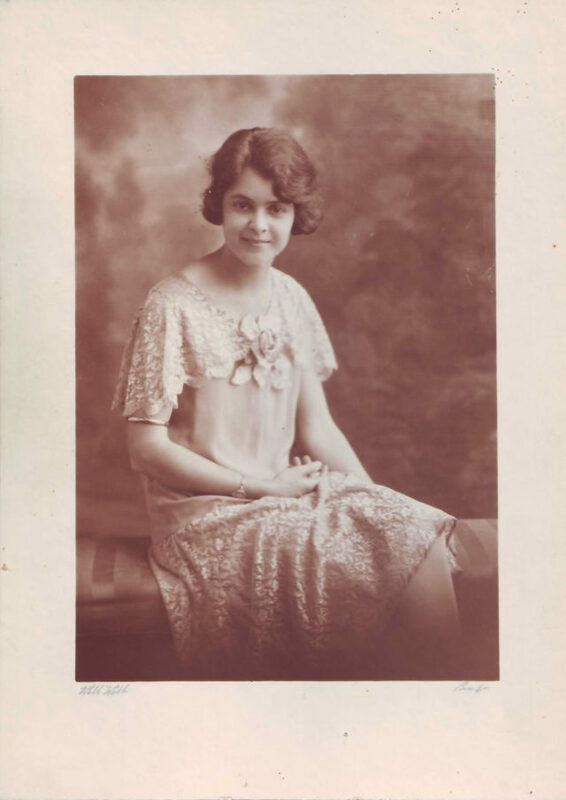 Like her brothers she enjoyed singing and was a member of the Claremont Choral Society. She was often called on to judge House singing at MLC as well as sections of the Heather Lamont Festival. Former Principal Walter Shepherd said of her: "She gave of her many talents generously, and had the confidence of all those she worked with. "As she changed from music to office work, her knowledge of the College family – pupils, parents, staff and old girls – was invaluable. "Win was a dedicated Christian, and modelled her high standards in personal relations on the ideals her faith challenged in her." An active member of the Claremont Methodist Church for over 57 years, Win was involved in the Ladies' Guild, the Ladies' Auxilliary and the Methodist Homes for Children Council. Husband Frank, whom she married in 1959, was also a member of the Church. The pair supported the Christian Medical College and Hospital in Vellore, South India, with Win arranging musical performances to help raise funds. Her obituary notes recalled that Win "retired" many times. "She was called back into service constantly and one would see her carrying out the duties she always handled so capably about the school and joke about her 'retirement'."